Over exploitation, habitat modification, pollution load and introduction of exotic species affect fish genetic diversity directly or indirectly. Excessive mortality of fishes due to any of these factors lead to species reduction of population size or extinction. Hence conservation of aquatic genetic resources is essential to maintain ecological as well as socioeconomic equilibrium. Ex situ strategies like cloning of fish gametes and embryos are proven globally important. In conventional methods, production of androgenetic clones was done using X­ rays or γ­ rays followed by subjecting the eggs to thermal/ hydrostatic/ pressure shock for diploidization after monospermic activation. Due to two subsequent treatments of radiation and shock, the survival rates of putative androgenotes are presumed to be very low. The present study is carried out to assess the survival and ploidy condition of diploid androgenetic progeny of zebrafish, Danio frankei, produced through dispermic fertilization. Poor survival rates of hatchlings produced through fertilization of genome inactivated eggs with monosperms compared to the survival ability of hatchlings produced through fertilizing genome inactivated eggs with disperms was discussed. This study clearly showed that the use of combination of Poly Ethylene glycol (PEG) and Calcium chloride (CaCl2) is more effective than any single agent to form viable disperms that can induce fertilization of genome­ inactivated eggs similar to the effect shown by normal eggs. 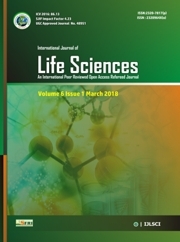 D Sai Vinathi, V Sridevi, DC Reddy, V Kalarani (2018) Assessment of survival and ploidy condition of Zebra fish progeny produced through androgenesis using Disperms, Int. J. of. Life Sciences, Volume 6(4): 991-997. This work was carried out as part of a Major Research Project (DST.Lr.No.SR/SO/AS-36 dated 17.05.2005) awarded to Prof. V. Kalarani by DST, New Delhi. The authors are grateful to Prof. T. J. Pandian, National Professor, Madurai Kamaraj University, Maduri for his guidance and support. Authors acknowledege DST – Curie, SPMVV, Tirupati for providing the lab facility. Babiak I, Dobosz S, Goryzko K, Kuzminski H, Brzuzan P, Cielielski S (2002) Androgenesis in rainbowtrout using cryopreserved spermatozoa the effect of processing and biological factors, Theriogenology, 57, 1229-1249. Binding H (1974) Fusion experiments withisolated protoplasts of Petunia hybrid L, Z. Pflanzenphysiol. 72:422-426. Bongers ABJ, Abraca JB, Doulabi Z, Eding EH, Komen J and Richter CJ (1995) Maternal influence on developmentof androgenetic clones of common carp, Cyprinus carpio L. Aquaculture, 137, 139–147. Chin JC and Scott KJ (1979) Effect of phytolectins on isolated protoplasts from plants, Ann.Bot., 43: 33-44. Constabel F and Kao KN (1974) Agglutination and fusion of plant protoplasts by polyethylene glycol, Can.J.Biol. 24: 143-146. Constabel F (1984) Fusion of protoplasts by polyethylene glycol (PEG) in Cell culture and somatic Cell Genetics of plants, Vol I 414-422, Academic Press, New York. Clifton JD, Pandian TJ (2008) Dispermic induction of interspeciﬁc androgenesis in the ﬁsh, Buenos Aires tetra using surrogate eggs of widow tetra. 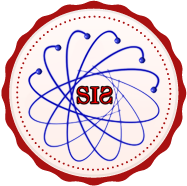 Curr Sci., 95, 64–74. Corley-Smith GE, Lim CJ and Brandhorst BP (1996) Production of androgenetic zebrafish (Danio rerio). Genetics, 142, 1265–1276. Haydu Z, Lazar G and Dudtis D (1977) Increased frequency of polyethylene glycol induced protoplast fusion by dimethylsulphoxide, Plant Sci. Lett., 10: 357-360. Herrmann A, Clague MJ and Blumenthal R (1993) The role of the target membrane structure in fusion with influenza virus: effect of modulating erythrocyte transbilayer phospholipid structure Membrane, Biochemistry , 10, 3_/15. Hui SW, Isac T, Boni LT and Sen A (1985) Action of polyethylene glycol on the fusion of human erythrocyte membranes. J . Membr. Biol. 84, 137-146. Kameya T (1973) The effects of gelatin on aggregation of protoplasts from higher plants, Planta, 115:77-82. Kameya T (1979) Studies on plant cell fusion : Effects of dextran and pronase E on fusion, Cytologia, 44:449-456. Kao KN and Michayluk MR (1974) A method for high-frequency intergeneric fusion of plant protoplast, Planta. 115,355-367. Kligerman AD and Bloom SE (1977) Rapid chromosome preparations from solid tissues of fishes. Journal of the Fisheries Research Board of Canada, 34, 266–269. Nagata T (1978) A novel cell fusion methods of polyvinyl alcohol, Naturwissenschaften 65:263-264. Nagoya, Kouichi Kawanura and Hironiohta, (2010) Production of androgenetic amago salmon oncorhynchus masou ishikawae with disperrny fertilization. Fisheries Sciences, 305-313. Roos DS, Choppin PW (1985) Biochemical studies on cell fusion. II. Control of fusion response by lipid alteration. J . Cell Biol. 101, 1591-1598. Ueda T, Kobayashi M and Sato R (1986) Triploid rainbow trouts induced by polyethylene glycol. Proc. Jpn. Acad., 62B,161–164. Westerﬁeld M (1995) The Zebraﬁsh Book. University of Oregon Press, Eugene. Yang J and Shen MH (2006) Polyethylene glycol-mediated cell fusion. Methods Mol Biol. ;325:59-66.